Yesterday I was contacted by Bishop Guillory. He threatened that, unless I took this article down, he would sue me and call my job to try to get me fired and he said he would go to all the news stations and say I am a racist. He said he is a Republican and a good guy and that we all have it wrong about him. I checked and double checked my article and there is nothing in my article that is factually incorrect. In fact, most of what I have in my article has already been reported in some form or fashion on other news sites. A lawsuit against me will not go anywhere because he is a public figure and therefore the law allows me to write about him as long as I do not knowingly lie about him and do it with malice. I certainly have not lied about him and if there is anything factually incorrect about anything I ever write I will always correct the article. The idea that he would try to say I am a racist is laughable. I have written numerous articles praising Black Conservatives like Commissioner Greg Parker, State Rep James White and Apostle Claver. In fact, I LOVE black conservatives getting involved and getting elected because in reality, the Republican Party is the party that holds the values of minority groups. You see, I never judge by the color of skin. I always judge people by their character and what they believe. I want to be fair though. If you read my article you will see that I said that I think this guy has some good traits about him but his bad traits are holding back his good traits. He is pro life which is awesome and he has gone after corrupt Democrats officials. The problem is that he is inconsistent and that worries me like for instance he says he is Republican but wears a shirt with Obama on it. 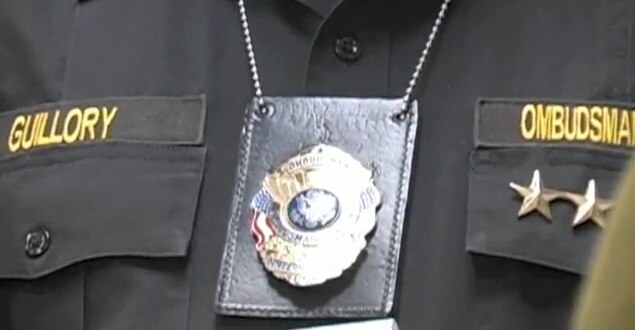 It is also completely wrong for him to have a badge that makes people think he is an official with the DOJ. Bishop Guillory, I would like you to send me your side of things. I will post your entire, uncut response. I really do want to believe that you are a good guy that is just misunderstood. Please explain to us your side of things so that we can understand. On November 8th, 2011, Jasper, TX held a recall election to oust 3 council members who the residents believe acted inappropriately. The Justice Department announced that they would be sending agents to Jasper to monitor the election. Guillory was wearing a badge around his neck with the United States Seal. His business card had the United Stated Seal. His military style shirt had 4 Military stars on it. He claimed to be the General Ombudsman for Ombudsman International, a Government Oversight Agency. The City Attorney, Michael Ratcliff, has expressed that Guillory seemed to represent himself as a DOJ official. The County Sheriff Mitchell Newman has also stated that Guillory approached him and told him that he was appointed to a committee. One local businesswoman that I talked to during the election believed that Guillory was an actual DOJ official. She stated that Guillory claimed to be monitoring the election on behalf of the taxpayer, and that after his investigation he would report to the Department of Justice any negative findings. He even told her that it would be illegal for a new city council to fire the Police Chief. That information of course is factually incorrect but this voter initially believed him because she believed him to be a DOJ official. 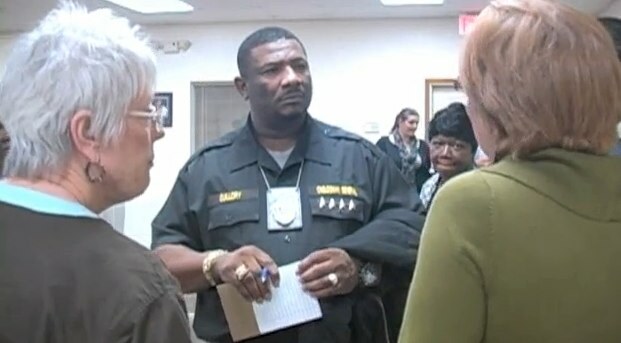 Over half a dozen other Jasper residents have signed affidavits claiming that Guillory represented himself as a DOJ official and that they felt intimidated as to why they were being singled out by the Justice Department (Bishop Guillory) in his questioning of them. Something just did not add up with this guy though. Guillory’s business card had the US Seal on it but it also had a masionic symbol on it. This caused Vickie to get suspicious and she contacted me. A background check reveals that Guillory spent 7 years and 7 months of a 15 year sentence in prison in California. His past criminal history includes charges of kidnapping, burglary, robbery, and even trying to prevent/dissuade a witness to testify. Guillory is NOT an official with the Department of Justice or any other government agency, even though he incorporates the US Seal and mentions the DOJ in everything he does. 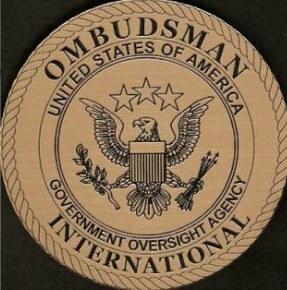 His organization, Ombudsman International Inc., is a not for profit organization. Guillory claims to be an ArchBishop. He is ordained by First United Unitarian Universalist Church, but to become ordained by this church only requires a person to send in an application. 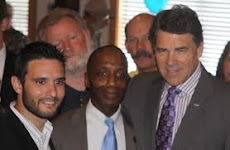 On Guillory’s blog, you will find a video of Guillory showing off “his” mansion in California. At 1 minute 46 seconds into this video on Guillory’s blog, Guillory is seen hugging a black panther statue and he says that you have to always have a black panther. In this same video, Guillory has a shirt on with a picture of President Obama. Furthermore, his background check does not show this luxurious property seen in this video as being owned by Guillory. According to the Texas Secretary of State, Guillory registered Ombudsman International Inc. on June 24th 2011 as a not for profit corporation in the State of Texas. This organization is composed of only L.J. Guillory (Director) and Janet J Guillory (Director Secretary Treasurer and her address is a post Office Box: 8306 Wilshire Blvd, 1752 Beverly Hills, CA 90211 USA). The office address for this organization in Texas is listed as 808 Greer Street in Center, TX. According to the Shelby County Appraisal District, this property in Center is 5.5 acres, has $70,000 worth of improvements and is owned by Ombudsman International Inc. The address listed for the organization’s director (Guillory) is 111 North Oak Street in Henderson, TX. On the filing papers that Guillory submitted to the State of Texas, he states that Ombudsman International is a Government Oversight Agency and that it does not have members but has over 1.7 million supporters. Ombudsman International Inc. was started by Guillory in California. 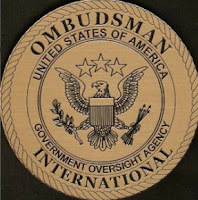 According to the California Secretary of State, Ombudsman International Inc. was formed as a California Not for Profit by Guillory on 7/9/2003. The address for the business is a post Office Box: 8306 Wilshire Blvd, 1752 Beverly Hills, CA 90211 USA. The address for the registered agent (Guillory) is 1425 W MANCHESTER AVE., SUITE C, Los Angeles, CA 90047. According to the California SOS, this Los Angeles address for Guillory is also the location of a different owner and business, a black bookstore called Milligan Books. He even recently endorsed white, Republican, Rusk County Attorney Michael Jimerson in the 2012 Republican Primary Election. Giollory is a very confusing person to me. 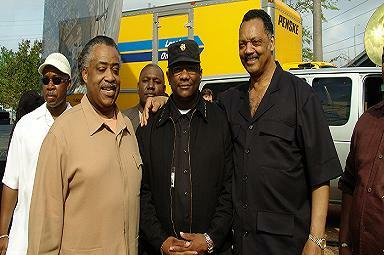 On one hand he wears a shirt with Obama on is, he defends killers, and he is a convict who has pictures with black panthers, Al Sharpton and Jesse Jackson. On the other hand he says he is a Republican, pro life and he wrote a book about corrupt black politicians. He seems to have some good traits, but as of now, his bad traits outweigh any good ones. 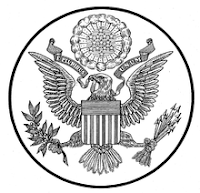 He is deceptive in making people think he is part of the DOJ by using the US Seal and wearing a badge. He admits to running a million dollar not for profit organization, but I have not seen anything to show what he has done with the millions of dollars. He seems to be biased in his “investigations”. For instance, in Jasper, Guillory only interviewed one side of the issue. Did Guillory really change his life around or is he just a con man trying to sell his book? He certainly is doing things the wrong way right now though, and his actions in Jasper, TX and other cities are very suspicious to say the least. Mr. Guillory, I really do hope this article will show you the way people see you and how you are acting inappropriately. I also want this article to warn others about you so that they know that you are not a real official. I think there might be some good in you and I hope you can change your ways. What a great read. Finally someone who is outing "Hillary" oopps I mean Guillory. Way to go and many Kudos to you!